I have partnered with Hammer Stahl for this review. I received product in exchange for my honest review. All opinions are as always, 100% my own. I remember about 6 years ago my mom gave me a big frying pan. It wasn’t just any frying pan, it was a stainless steel frying pan that I still use all the time. I have dreamed and dreamed about upgrading all my pots and pans to stainless steel. It still hasn’t happened. Mostly due to the fact that the pots and pans I have now still work so I haven’t had a real reason to replace them. I think that has all changed. For this review I got to try out the Hammer Stahl 4-quart sauté pan. It is beautiful. And so easy to cook in. And beautiful. 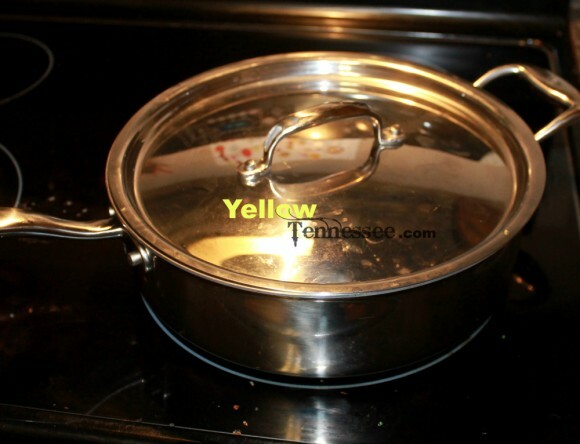 Hammer Stahl cookware is manufactured in the U.S. at its facility in Clarksville, Tennessee. Designed for flavorful, low-fat cooking, the 7-ply cookware is made with multi-ply surgical stainless steel that distributes heat quickly and evenly. The one-of-a-kind stainless and titanium surface makes for safe and more reliable cooking. One thing I love most about this pan is it really is fool proof. I love to cook, but sometimes life gets in the way of that. The kids need something, the phone is ringing, the dogs are barking. It is the normal dinner time routine that seems to creep up often. There have been a couple of times that I let something cook a little too long. But clean up with this pan is so perfect. I just let it cool, fill it with some warm water to soak for a while and then it all wipes off with little effort. The interior layer of steel of the pan has been changed to 316Ti from 304 SS, so that the cooking surface is the least reactive to salts and acids. This stainless steel is significantly more resistant to corrosion and reduces metallurgical reaction between food and the cooking surface to ensure that meals have exceptional flavor. I will be honest and tell you I really don’t have any idea what that means. What I do know is that it really does provide an even cooking surface. There has never been any aftertaste from the pan and clean up is a snap. 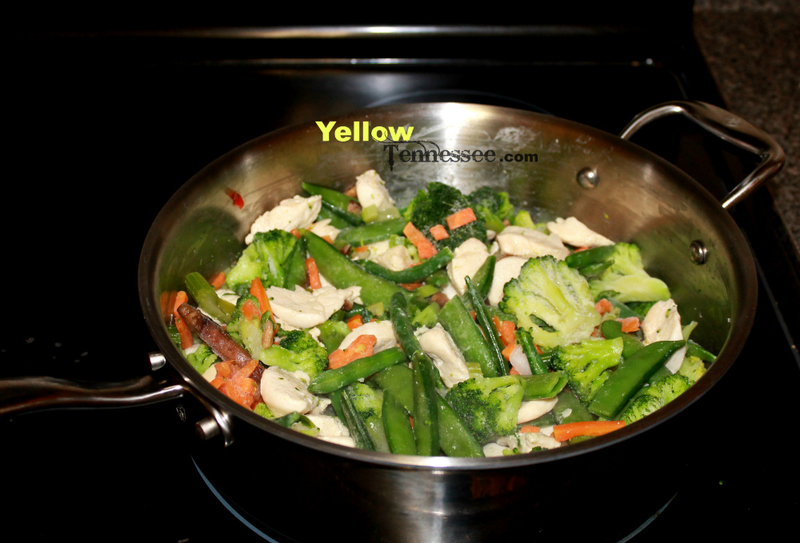 It also is a huge pan and the lid makes it my new go to pan for so many meals. Hammer Stahl has never retailed a 4 quart deep saute pan before. This pan is truly one of a kind. 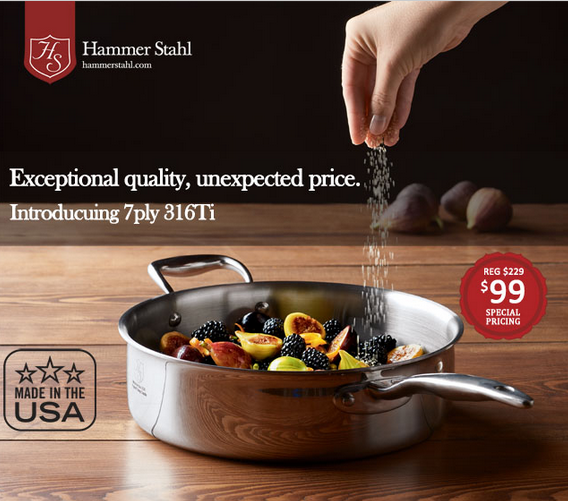 And just in time for the holidays, Hammer- Stahl is offering its new, 4-quart stainless steel saute pan with cover at the special price of $99.00 until December 31st. That is a $130 savings! Click here to take advantage of the special pricing on the Hammer Stahl 4 quart saute pan. Win it! One lucky Yellow Tennessee reader will win one of these beautiful Hammer Stahl saute pans with lids. Use the simple Rafflecopter form to enter and good luck!